A fiery horse with the speed of light, a cloud of dust, and a hearty "Hi-yo Silver!" - The Lone Ranger! With those words, fans young and old grew to love The Lone Ranger, and now Dynamite Entertainment proudly presents the definitive collection of an all-new Lone Ranger series featuring the all-star creative team of writer Brett Matthews, art director and cover artist John Cassaday, and artist Sergio Cariello. 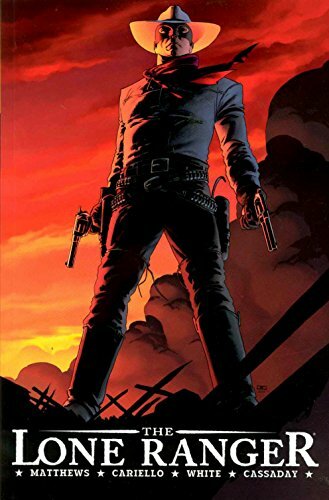 All six issues are presented in one ultimate hardcover collection - the complete story of how John Reid was transformed into The Lone Ranger and, along with his partner Tonto, set a new standard of justice in the Old West! Also includes a complete gallery featuring all of Cassaday's covers for the series, and more!